"We want a single electronic identity — a kind of digital passport — for all possible applications. In our city, we do not want this digital ID to be centralized but on the blockchain. We only verify and confirm the identity of a person,” Dolfi Müller, the mayor of Zug, said in a statement. "Today, our digital identity still lies with major search engines and social networks that profit from it. A self-managed, secure and certified identity is indispensable for the functioning of an increasingly digital society. For the Crypto Valley Zug, we believe in a research collaboration with the financial sector and government agencies,” Mathias Bucher, lecturer at the IFZ, said. "This pioneering project is technically highly interesting and fits perfectly with the competencies of our company: digitize with the greatest possible security and great user-friendliness,” Mr. Bucher added. 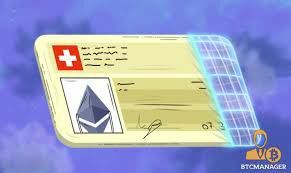 “By registering on the public, global Ethereum blockchain, the city of Zug offers its citizens an innovative access for both local and international services," said Heck. "This solution provides tremendous added value for enhanced security, as private data remains under the full control of individuals while providing a much more streamlined use of digital services,” Wüst said.